Camarillo pool cleaning service is done with your family in mind. We know how it feels to swim in a clean, almost chemical free pool. This is one of the pools Camarillo Pool Cleaning Service. As you can see it's safe for a baby to swim in without worrying about to many chemicals being used. With our regular pool maintenance plan you don't need to saturate the pool with chemicals. We use just the right amount to keep it sparkling, safe and free of bacteria. Owning a swimming pool can be fun and form of relaxation in your home, but it also has the potential to create increased stress if your swimming pool maintenance is not to par. We been maintaining and swimming in our own pool for over 15 years. We know what it takes to keep your pool in swimming condition all year round. As we said in our home page we take our time or as much time as we need to insure your pool is swim ready and properly balanced. We don't like red eyes, with our pool maintenance we make sure all chemicals are balanced. Old 55's Pool & Spa has 16 years of experience in the Swimming Pool Industry "Turning Your Backyard into a Paradise". Our goal is to provide our customers with excellent service to enjoy their swimming Pool all year round! Old 55's Pool & Spa thrive in energy saving equipment to help you maximize your savings. We are a leader in the industry from Automation to Equipment Installation. We are your one stop for your pool needs. 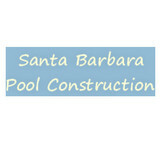 Ever Blue Pools is an excellent swimming pool and hot tub installation service in Ventura, CA. We can create a luxurious pool and fabulous spa for you to enjoy all year long. No detail of the installation process will be overlooked because we want you to thoroughly enjoy your outdoor environment. For Jason M. Warren, founder and owner of Santa Barbara Pools And Construction, excellence in landscape, construction and landscape design is a lifelong passion. Jason’s parents would tell you that he began swinging a plastic hammer when he was two years old… He began working in his father’s landscape design and construction business when he was only 10, learning various contractor skills and trades. Years and years in the family landscape and construction business gave him a variety of experience. He learned how to deal fairly with people- to listen to what they say, design the right product that fits their needs and construct that product the best that it can be done. After going off to college and having a successful baseball career, the love of landscape design and construction brought him back to start Santa Barbara Pools And Construction. Known for our quality service, Village Pool Supply has been a respectable member of the Santa Barbara community since 1970. Over the years, we have shown that we are the pool and spa experts. Because we offer every client and customer remarkable products and comprehensive customer service, you know you can count on our products and services to be the best in the business. Our promise to you, our valued customer, is to offer dependable products so you can get the most enjoyment possible from your pool. You can count on each of us to be reliable and knowledgeable about our products. We enjoy helping our customers stay informed and maintain their pools with ease. Visit our store to experience our personal service and friendly atmosphere, in addition to a great selection of the finest pool products. Contact us today for more information. Paradise Pool Co has grown into one of the most respected Pool Services companies providing honest and reliable services in Santa Barbara County since 1980. 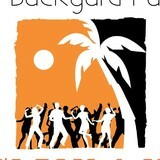 Paradise Pool Co specializes in Pool Services. We diagnose problem situations and provide prompt service. We take special pride in the craftsmanship we have; a fact you'll notice immediately in the attitude and integrity we bring to your project. Please contact us today at (805) 963-4524. We look forward to speaking with you and learning more about how we can serve you. Tropical Pool Services offers experienced, dependable pool maintenance & repairs. An excellent reputation for prompt service and dedication to 100% customer satisfaction. Thank you for considering Paradise Pool and Spa Service. We are well experienced and equipped to service your pool and spa. We understand the value of your investment and will always take the appropriate steps to protect your backyard "Paradise." Enjoy the peace of mind knowing that your pool and spa are safe and ready for use each and every time. Advanced Pool Management, Inc. is a full service pool, spa and fountain provider for both commercial and residential customers. Our team has been providing high quality service to the Santa Ynez Valley (Solvang, Los Olivos & Buellton) Santa Barbara (Montecito & Hope Ranch) and Lompoc areas for the past 16 years. We are member's of the IPSAA (Independent Pool and Spa Service) Association and are chemically certified. We provide customized service plans to meet your needs, offering weekly and/or bi-weekly pool management. We are experienced and knowledgable in the latest technologies within the pool industry such as: automation systems, heaters, filtration systems and energy efficient equipment. We appreciate your interest in Channel Islands Pool Supply and look forward to working with you. For specific information about any of our products or services, please contact us. Spas etc offers service and repair on all major brands of hot tubs. We are a certified repair station for Watkins Manufacturing - makers of HotSpring Portable Spas, Tiger River, Hot Spot, Limelight, etc. Since 1987 we have offered care and support for your spa, hot tub, portable or in-ground. We can help you with covers, filters, equipment and parts. Call us - 805-644-3232 - we no longer operate a retail location. Established in 1999, our pool service company from Oxnard, California, has your residential or commercial pool or spa needs covered. Whether you're in need of weekly maintenance or a major repair, feel at ease knowing the flexible and knowledgeable professionals from Clear Reflections Pool & Spa Maintenance are ready to assist you. Combining years of experience with a dedication to client satisfaction, Expert Fountain Pond & Pool has established itself as the local leader in Fountain Maintenance, Pond Repair and Pool Repair. What should I look for when hiring a pool cleaning service in Mission Canyon, CA? Pools and hot tubs are big investments, so you’ll want to make sure to protect them by hiring an expert who cares about them just as much as you do. Check that the Mission Canyon swimming pool maintenance service you are interested in actually specializes in the type of pool you have — chlorine and salt water pools have very different needs, and in-ground versus above-ground pools will require different upkeep and repair methods. Also, know who will be doing the repair or service; if it’s one of the larger swimming pool services in Mission Canyon, CA, request that you get same person every time, otherwise you could get inconsistency in treatments. Good Mission Canyon pool professionals will keep a consistent schedule and log everything they do so that it can be referenced in the event that you switch companies or something does go wrong. Like any other professional, look for local pool cleaning companies near you with plenty of good reviews and relevant experience. 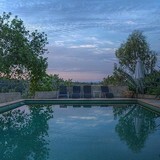 Find a Mission Canyon, CA swimming pool repair and maintenance specialist on Houzz. Narrow your search in the Professionals section of the website to spa and pool maintenance companies in Mission Canyon, CA and read reviews and ratings for pros in your area.